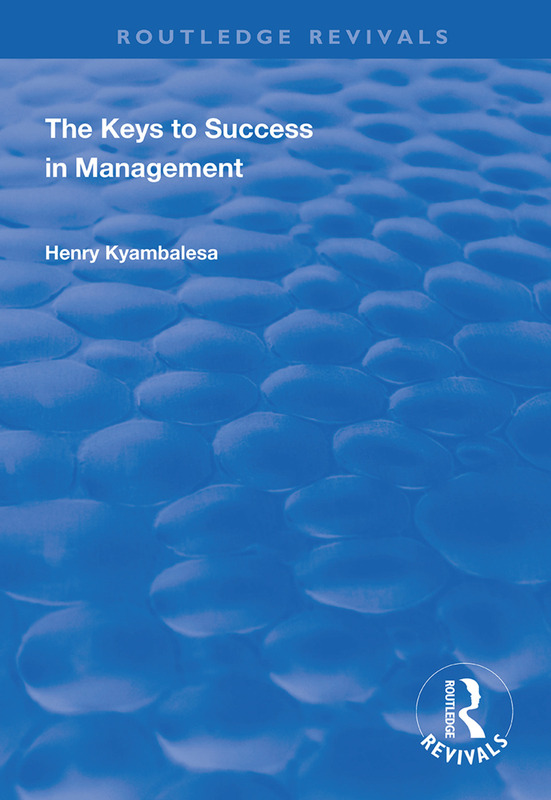 First published in 1998, this volume is designed to explore the requisite knowledge, skills and drive which both prospective and practising managers need to possess in order to discharge the duties of the managerial job in an effective manner, as well as contribute meaningfully to the long-term success and survival of their organisations. In other words, the book is an exposition of the "dos and don’ts" and the "nuts and bolts" of the managerial world. To make the book more useful to the reader, management theory and practice are simultaneously discussed, and a glossary of important management terms and concepts used in the text is provided toward the end of the book.